One of the primary goals of the CCIC is to consolidate a network of cannabis and cannabinoid researchers in Canada. This network has been established to act as a directory for the diverse research that is occuring with respect to cannabis and cannabinoid research in Canada, within both the medical and non-medical context. 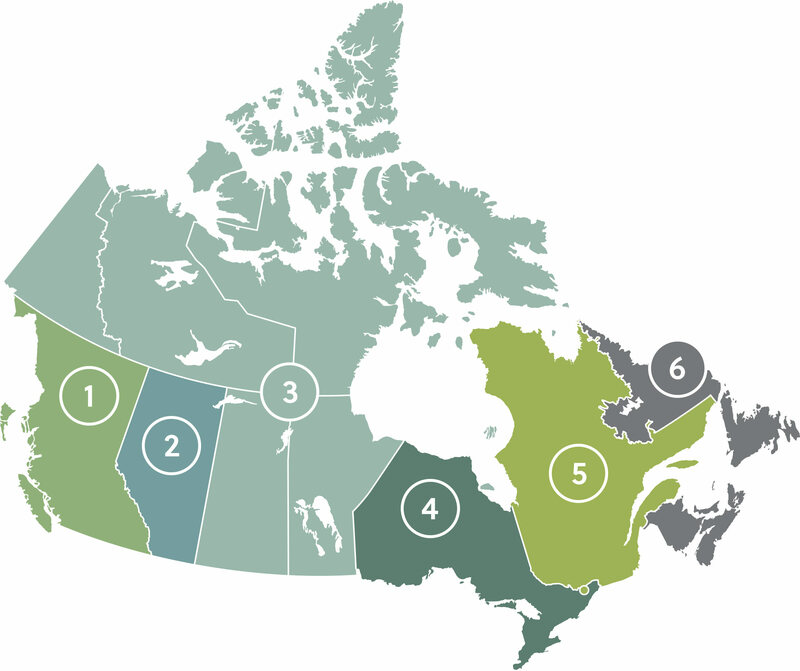 This network is divided into 6 research nodes which organize researchers, research initiatives and upcoming educational events in defined regions across Canada. Researchers within the network are categorized as primarily identifying with research in the domain of basic/experimental science, clinical research or public health/epidemiolgy. For further information about research and events that are occuring within each research node in Canada, or to become integrated into the research network itself, please contact the Lead for each of the regional nodes through the links below. The CCIC is proud to promote organizations who share a similar vision to us in supporting research and bringing about balanced and evidence based-education regarding cannabis to the public, this includes smaller regional research networks that have integrated with the CCIC. The CCSA seeks to fill gaps in knolwedge, provide practical resources and evidence informed solutions to promote the reduction of harms associated with substance use and addiction. The primary website of the CCSA can be found here: www.ccsa.ca and their section focused on cannabis can be found here: http://www.ccsa.ca/Eng/topics/Cannabis/Pages/default.aspx. This centre focuses on curating evidence-based content, conducting cutting-edge research and creating a network of medicinal cannabis professionals. A network of researchers from the University of Toronto and Affiliated Health Services Network who are actively engaged in health research on cannabis and cannabinoids. An interdisciplinary research team exploring the application of cannabinoids and cannabis derivatives to humans and animals, for health, disease and disorders, based at the University of Saskatchewan in Saskatoon. The ICRS is the worlds foremost research organization devoted to scientific cannabinoid research which has been having annual scientific conferences since 1990. The IACM is an association which acts to advance knowledge on cannabis, cannabinoids, the endocannabinoid system and related topcis, especially with regard to their therapeutic potential.